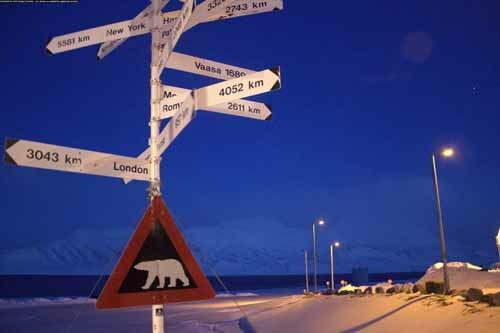 Svalbard, also known as Spitsbergen, is located in polar bear territory. 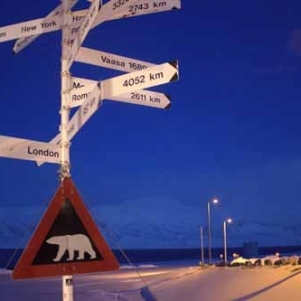 The ‘Beware of the polar bear’ sign just outside Longyearbyen airport ensures that this crucial bit of information doesn’t go amiss. 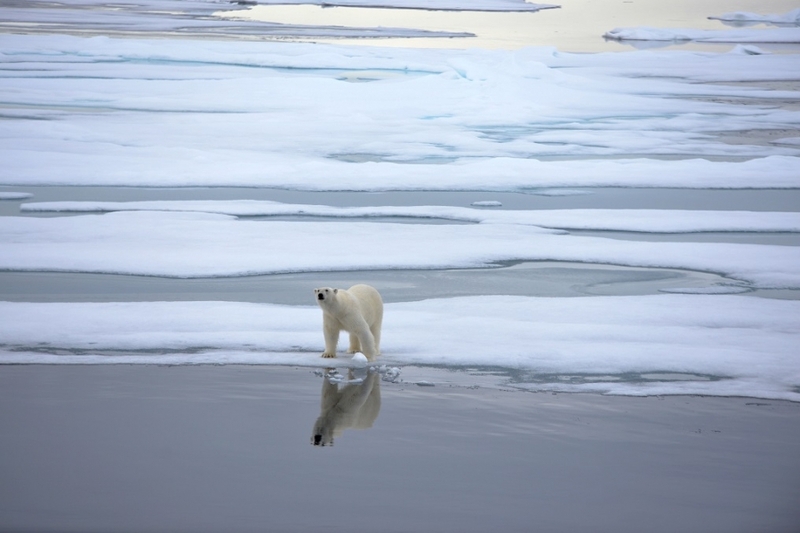 Those who dug a little deeper before setting foot on Norway’s northernmost archipelago will know that polar bears outnumber the human population. Unsurprisingly, the idea of being able to spot the King of the Arctic year-round is a common misconception. To avoid disappointment, timing, location and a pinch of luck are the key ingredients to a successful trip. Winter conditions, however, minimise chances in many ways and reduce meticulous planning to sheer luck. Bears have been sighted during winter but encounters are rare for multiple reasons. 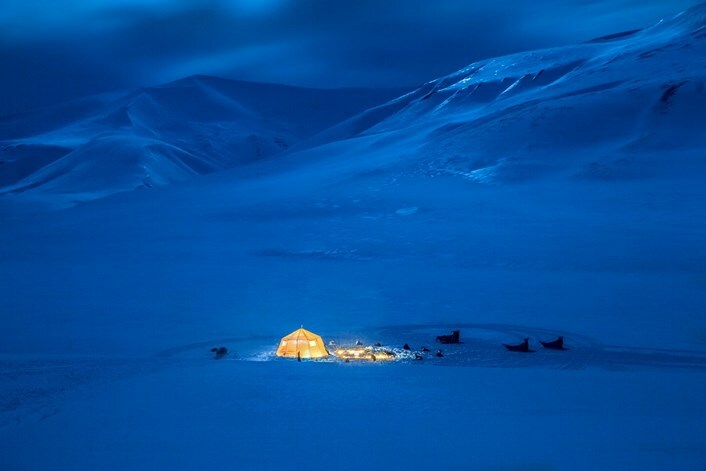 Svalbard is the last human frontier before reaching the pole. Weather conditions are harsh, especially during the long, dark winter months. 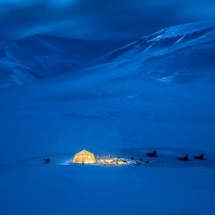 Humans have therefore built a small community in the bay of Longyearbyen. Bears know to avoid the area and some residents have actually never seen a bear in their entire life. In fact, you may be delighted to know that you won’t encounter a polar bear on your way to the supermarket. To look out for the bear wildlife lovers need to move beyond the bounds of the city and into the remote and coastal areas of Svalbard. 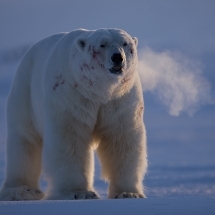 Polar bears are considered marine animals and are mostly found hunting for ringed seals on the ice sheet. While winter excursions are possible, most of them are landbound on snowshoes, snowmobiles or dog-sleds. Boat excursions are not possible during this time. In late October, residents wave goodbye to the sun which slides behind the horizon until mid-February. While there is still some indirect sunlight, tinging the skies into a dark blue and some pinkish pastel colours light conditions are not ideal for wildlife expeditions. The actual attraction during these months is the sky itself as the Northern Lights are also visible during the day! Chances of seeing a female during the winter months are slim as they tend to look after their young hidden away in small dens. The bears usually spend up to two months in the den, after that they take short trips on the ice. As the dens are remote and hidden by design chances of seeing a mother and her cub are minimal. 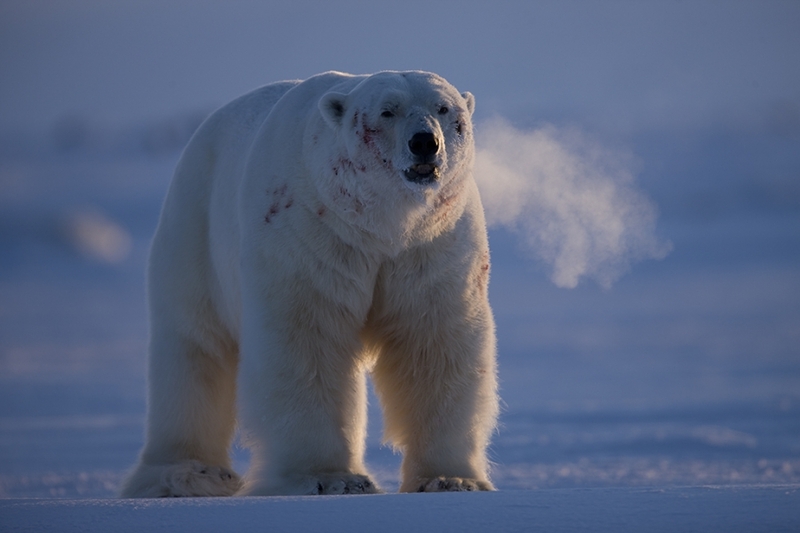 Male bears tend to venture further north on the frozen sea and are therefore even further from the coast. 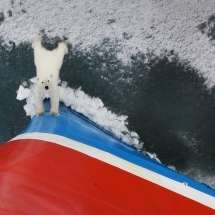 The polar bear is a protected species and it is therefore forbidden to actively search for the bears. As the males spread out and the females hide an active search would be required to boost your chances. The bear’s right to remain undisturbed comes first. 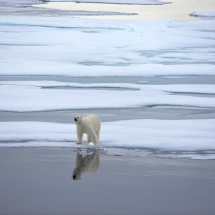 Summer is the best time to see polar bears as they tend to either follow the sea ice or stick to the coastlines looking out for eggs, or seals who prefer to stay in the archipelago. Either way, a journey circumventing the island or a trip to the top of the archipelago offers the best chances of seeing the bears in their natural territory. An active pursuit is not necessary. Always bearing animal welfare in mind we recommend joining a small-scale cruise conducted by local guides who are familiar with the bear’s behaviour and movement patterns. 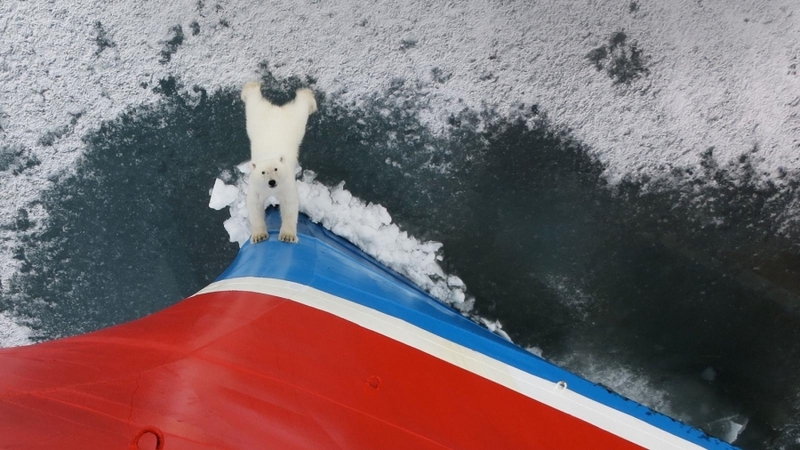 An expedition cruise is the safest way to see the bears including other Arctic bird and wildlife. If you do not fancy a cruise we recommend smaller waterbound journeys and to always, always rely on a guide when exploring this truly wild part of the world. Alternatively, if you prefer a winter adventure you may want to take a glance at Hudson Bay in Ontario. Each November hundreds of bears gather in polar bear capital Churchill located at the southernmost tip of the bay and collectively wait for the ‘Big Freeze’. Only a short walk from town you’ll find bears frolicking in the tundra. Get in touch and we'll make it happen.